Abstract: The Saudi stock market is regionally and globally important due to the country’s economic position as the world’s largest oil producer and its inherent socio-political role as a major world economy. Stock market prices are one of the main factors affecting the national economy, indicating economic strength and attracting investment. This paper inspects the best autoregressive integrated moving average (ARIMA) model to forecast daily stock market prices in Saudi Arabia. The results indicate that the optimum model is ARIMA (4, 4, 0, 0), due to the ACF having an exponential deterioration and the PACF having a spike at lag12, which is an indication of its being the best model to forecast Saudi Arabia stock market prices from 2000 to 2018. The least Akaike Information Criterion (AIC) value was used to select the appropriate model from 25 tentative ARMA models. The chosen model is the first one, AIC -5.404104. The selected ARIMA (4, 4) (0, 0) predicts the future values of time series (stock market prices) with 95% prediction intervals for the next year. It is important to focus on the improvement and development of other models to improve the forecasting process and improve the ability of companies to plan. The results expected by the model indicate economic strength in the near future, which stimulates the economic situation of the state and increases confidence in it. Keywords: Bayesian Information Criterion, Akaike Information Criterion, Saudi Stock Exchange (Tadawul), Stock Prices, Prediction Models, Forecasting. Akaike, H. (1974). A new look at the statistical model identification. IEEE Transactions on Automatic Control, 19(6), 716-723. Ales, J. D., Delleur, J. W., Yevjevich, V. and Lane, W. L. (1980) Applied modeling of hydrologic time series. Littleton, CO: Water Resources Publications. Anish, C. M. and Majhi, B. (2015). An ensemble model for net asset value prediction. 2015 IEEE Power, Communication and Information Technology Conference (PCITC) (pp. 392-396). New York, NY: IEEE. Bagheri, A., Peyhani, H. M. and Akbari, M. (2014). Financial forecasting using ANFIS networks with quantum-behaved particle swarm optimization. Expert Systems with Applications, 41(14), 6235-6250. Box, G. E. P., Jenkins, G. M. and Reinsel, G. C. (1994). Time series analysis: Forecasting and control. New York, NY: Wiley. Box, G. E. P. and Jenkins, G. M. (1970). Time series analysis: Forecasting and control. San Francisco, CA: Holden-Day. Contreras, J., Espinola, R., Nogales, F. J. and Conejo, A. J. (2003). ARIMA models to predict next-day electricity prices. IEEE Transactions on Power Systems, 18(3), 1014-1020. Cryer, J. D. and Chan, K. S. (2008). Time series analysis: With applications in R. Berlin, Germany: Springer. Dase, R. K. and Pawar, D. D. (2010). Application of Artificial Neural Network for stock market predictions: A review of literature. International Journal of Machine Intelligence, 2(2), 14-17. Datta, K. (2011). ARIMA forecasting of inflation in the Bangladesh economy. IUP Journal of Bank Management, 10(4), 7. Dutta, A., Bandopadhyay, G. and Sengupta, S. (2015). Prediction of stock performance in the Indian stock market using logistic regression. International Journal of Business and Information, 7(1), 105-132. Hamilton, J. D. (1994). State-space models. Handbook of econometrics, 4, 3039-3080. New York, NY: Elsevier. Hamilton, J. D. (1994). Time series analysis, 2. Princeton, NJ: Princeton University Press. Hyndman, R. J. and Athanasopoulos, G. (2014). Forecasting: Principles and practice. Melbourne, Australia: OTexts. Kumar, M. and Anand, M. (2014). An application of time series ARIMA forecasting model for predicting sugarcane production in India. Studies in Business and Economics, 9(1), 81-94. Nason, G. P. (2006). Stationary and non-stationary time series. In H. Mader & S. C. Coles (Eds. ), Statistics in volcanology (pp. 129-142). London, UK: The Geological Society. Ofori, T., Ackah, B. and Ephraim, L. (2013). Statistical models for forecasting road accident injuries in Ghana. International Journal of Modern Mathematical Sciences, 5(2), 99-115. Pankratz, A. (2009). Forecasting with univariate Box-Jenkins models: Concepts and cases. New York, NY: Wiley. Sakamoto, Y., Ishiguro, M. and Kitagawa, G. (1986). Akaike information criterion statistics. Dordrecht, The Netherlands: D. Reidel. English+2016.pdf?MOD=AJPERES&CONVERT_TO=url&CACHEID=bd537307-975c-462d-8700-a94f3ee05f18 [last accessed 10 March 2018]. Uko, A. K. and Nkoro, E. (2012). Inflation forecasts with ARIMA, vector autoregressive and error correction models in Nigeria. European Journal of Economics, Finance & Administrative Science, 50, 71-87. Meyler, A., Kenny, G., & Quinn, T. (1998). Forecasting Irish inflation using ARIMA models. Nason, G. P. (2006). Stationary and non-stationary time series. Statistics in Volcanology. Special Publications of IAVCEI, 1, 000-000. Chatfield, C. (2016). The analysis of time series: an introduction. CRC press. Doguwa, S. I., & Alade, S. O. (2013). Short-term inflation forecasting models for Nigeria. CBN Journal of Applied Statistics, 4(3), 1-29. Abstract: Construction site management has become more complex than ever since a number of resource flows (operatives, information, finance as well as materials) have to converge simultaneously at the workface in order to ensure successful completion of construction projects. This research sought to assess the impact of site management factors on projects implementation in Nairobi County. The selected site management aspects that were investigated in relation to project implementation included; material management, labor management, health and safety management, commercial/cost management and information management.The study utilized a survey research design and the target population was made up of commercial/ mixed urban development buildings (only projects worth more than Kenya shillings 100 million were considered) under construction in Westlands constituency. A sample of 40 projects were picked randomly and questionnaires were administered to construction project managers. The survey achieved a 68% rate of return of questionnaires. Data analysis involved cleaning, sorting and coding of raw data collected from the field and processing for purposes of interpretation by use of R software version 3.4.3. The data analysis procedures adopted used both descriptive and inferential statistical methods and the results were presented in form of statistical equation models, tables, charts and graphs in a simple and comprehensive manner. The results indicated that, the selected site management factors contribute significantly to the prediction of successful project implementation. This findings were justified by the following statement; proper health and safety management had the greatest impact on probability of successful project implementation with a probability of 99.4%, cost management had a probability of 97.4% while labour management had a probability of 83.9%. The second highest probability of successful project implementation was material management with 98.9% while information management had a probability of project success of 93.6%. Finally, a well-defined site management system was suggested to aid construction project managers in achieving control over the flow of basic resources (personnel, finance and materials) and processes, eased information exchange and increased customer and stakeholder satisfaction (as a result of meeting the project objectives). Keywords: Construction Site Management, Project Management, Project Implementation. Chau et al. (2004). Four-dimensional visualization of construction scheduling and site utilization. 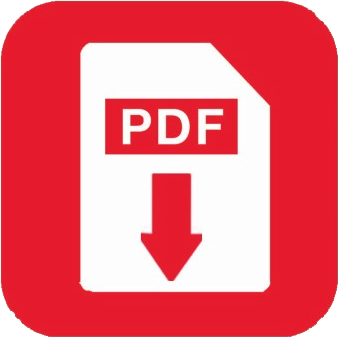 Journal of Construction Engineering and Management, ASCE, Vol. 130, No. 4, Pp. 598-606. Fadiya, O. (2012). Development of an integrated decision analysis framework for selecting ict-based logistics systems in the construction industry. University of Wolverhampton. Gwaya et al. (2014). Development of a benchmarking model for construction projects in Kenya. International Journal of Soft Computing and Engineering, Volume-4, Issue-5, Pp. 31-37. Kibe, K. (2016). Assessment of health and safety management on construction sites in Kenya: a case of construction projects in Nairobi County. Nairobi: Jomo Kenyatta University of Agriculture and Technology. Kimondo et al. (2015). Dynamics of supply chain management in the Kenyan construction industry: A case study of National Irrigation Board. International Journal of Innovative Scientific & Engineering Technologies Research 3(4), Pp. 1-14. Mossman, A. (2008). More than materials: Managing what's needed to create value in construction. Paper of the 2nd European conference on construction logistics. (p. 13). Dortmund: The Change Business ltd.
Olubunmi et al. (2014). Diversity among construction professionals: A study of their perception of construction site management practices. Akure, Nigeria: Federal University Of Technology. (2004). A guide to the project management body of knowledge; Third edition. Pennsylvania, USA: Project Management Institute. Wong et al. (2014). An integrated 5D tool for quantification of construction process emissions and accident identification. The 31st international symposium on automation and robotics in construction and mining (p. 5). Hong Kong: Hong Kong Polytechnic University. Abstract: This is a new paper on the algorithm "Darksort". It is a linear sorting algorithm that operates in O(n) time and space complexity. It uses advanced data structures to be highly applicable in many Computer Science uses. Comparisons to other linear sorting algorithms are included. Keywords: Computer Science, Data Structures, Algorithms, Sorting. Kazim Ali. "A Comparative Study of Well Known Sorting Algorithms". V. 8, No.1 Jan-Feb 2017, International Journal of Advanced Research in Computer Science pages 1-5. Stijn de Gouw, Frank de Boer, Juriaan Rot. "Proof Pearl: The KeY to Correct and Stable Sorting". V. 53.2, 2014, Journal of Automated Reasoning pages 129-139. Panu Horsmalati. "Comparison of Bucket and Radix sort". https://arxiv.org/abs/1206.3511. V. 1206.3511v1 [cs.DS], 2012, pages 1-10. Paul M. E. Shutler, Seok Woon Kim, Wei Yin Selina Lim. "Analysis of Linear Time Sorting Algorithms". V. 51, Issue 4, Oxford University Press on behalf of The British Computer Society, pages 451–469. Apostolos Burnetas, Daniel Solow, Rishi Agarwal. "An analysis and implementation of an efficient in-place bucket sort". V. 34, 1997. Acta Informatica, pages 687–700. Paul E. Black, "Pigeonhole sort", in Dictionary of Algorithms and Data Structures [online], Vreda Pieterse and https://www.nist.gov/dads/HTML/pigeonholeSort.html. 2006. Paul E. Blacks eds. Abstract: Fine aggregate has been extensively used in the construction industry as a key component of concrete production. Although river sand is one of the major sources of fine aggregate, different sources exhibit different properties by virtue of the geological formation of the drainage basin. Further, the use of river sand as the source of fine aggregate has resulted in over-exploitation leading to depletion and environmental degradation. This has led to exploration of alternative sources to safeguard depletion and reduce the negative impacts on the environment. This research was conducted on a variety of river sands and alternative fine aggregates to assess their suitability for concrete manufacture. A quantitative experimental approach was adopted to test the Physical, chemical and mineralogical properties of fine aggregates sourced from Machakos, Mwingi, Naivasha and Kajiado and the resultant concrete strength after 7, 14 and 28 days recorded. The fineness modulus of all the material samples ranged from 1.92 to 3.66, specific gravity 1.73 to 2.27 and silt content 2.06% to 11.9%. All the samples fell within the overall grading envelope. The silicon dioxide concentration ranged from 65% to 80%, Aluminium oxide 9% to 19% and Calcium oxide 1.3% to 2.5%. Machakos sand had the highest Silicon dioxide and calcium oxide concentration of 80% and 2.5% respectively, while quarry dust had the highest aluminium oxide concentration of 19%. It was observed that concrete produced from natural river sand obtained from Mwingi, Kajiado and Machakos achieved strengths of 41.899N/mm2, 37.173N/mm2 and 33.645N/mm2 respectively comparative to 30 N/mm2 target characteristic strength after 28 days. On the other hand, concrete produced using fine aggregates obtained from Mlolongo rock sand, Naivasha sand and Mlolongo Quarry dust achieved strengths of 28.682 N/mm2, 28.411 N/mm2 and 27.661 N/mm2 respectively falling short of the requisite compressive strength after 28 days. Keywords: Concrete Mix Design, Concrete Strength, Fine Aggregates. Civil engineers forum, "Advantages and disadvantages of Concrete,"2016.[Online].Available:http://civilengineersforum.com/concrete-advantages-disadvantages/. [Accessed 15 February 2018]. Neville, Properties Of Concrete, London: Pearson Education Limited, 2011. Savitha, "Importance of quality Assurance of Materials for Construction work," Building materials Research and Testing division, 2012. The Constructor, "Manufactured Sand (M-Sand) in Construction," 2016.[Online].Available:http://theconstructor.org/building/manufactured-sand-m-sand-in-construction/8601/. [Accessed 22 March 2016]. Krausman, S. Gingrich, N. EisenMenger, K. H. Erb, H. Haber and M. Fischer-Kowalski, "Growth in Global Material use, GDP and Population During the 20th Century," Ecological Economics, vol. 63, pp. 2696-2705, 2009. Milliman and M. Syvitski, "Geomorphic/ Tectonic Control of Sediment Discharge to the Ocean: The Importance of Small Mountainous Rivers," J. Geol., no. 5, pp. 525-544, 1992. T., "Special Edition for the World Conference on Disaster Reduction: It's the way you tell them, Environment & Poverty Times," Kobe, Japan, Jan 2005. Sonak, P. Pangam, M. Sonak and D. Mayekar, "Impact of sand Mining on Local Ecology in Multiple Dimension of Global Environmental Change," The Energy and Resources Institute, New Delhi, India, 2006.
s. DJ Harrison, "Alternative sources of Aggregates," British geological survey, Nottingham, 2003. Ministry of Nairobi Metropolitan, "Safety and Security of the Built Environment," GoK, Nairobi, 2013. T.J MacGINLEY, Reinforced Concrete Design Theory and Examples, London: E & FN Spon, 2003. Ahmad, "Optimum Concrete mixture Design using locally available ingredients," The Arabian jounal of Science and Engineers, 2007. Crowther, "Geology of the Mwingi Area," Geological Survey of Kenya, Nairobi, 1957. J. Matherson, "Geology of Kajiado Area," Geological Survey of Kenya, Nairobi, 1964. Searle, "Geology of thee Sultan Hamud Area," Geological Survey of Kenya, Nairobi, 1953. D. A.O. Thomsons, "Geology of the Naivasha Area," Geological survey of kenya, Nairobi, 1958. Okumu, "the effects of the properties of constituents materials on the quality of concrete in kenya," in annual conference on sustainable research and innovation, nairobi, 2016. University of Memphis, "Aggregates for Concrete," [Online]. Available:www.ce.memphis.edu/1101/notes/concrete/PCA_manual/Chap05.pdf. [Accessed 15 February 2018]. O. Olanitori.L M, "The Effect of Clay Impurities in Sand on the Crushing Strength of Concrete,( A Case Study of Sand in Akure metropolis, Ondo state, Nigeria)," in 30th Conference on Our world in Concrète and Structures, Singapore, 2005. Abstract: A significant amount of research is done to improve the effectiveness in data hiding. Audio steganography is an art of hiding secret information inside an audio file, such that the representation of audio file won’t be altered. Steganography is one of the safest ways of secret data transmissions in today’s digital world. In this paper, large embedding capacity steganography method is proposed using LSB substitution. Alongside, the power and security of the RSA cryptosystem is based on the fact that the factoring problem is “hard.” The public and private keys are related mathematically, but the parameters are chosen so that calculating the private key from the public key is either impossible or prohibitively expensive. Thus two level security and robustness is achieved. The original and stega-audio signals show resemblance hence there is minimum chance of detecting the secret message hidden in the stega-audio. MATLAB is used for proposed algorithm and proposed results have been shown. Anitha Devi M.D, Dr K B ShivaKumar, “Novel Audio Steganography Technique for ECG Signals in Point of Care Systems(NASTPOCS)”, 2016 IEEE International Conference on Cloud Computing in Emerging Markets. Ankit Gambhir, Sibaram Khara, “Integrating RSA Cryptography & Audio Steganography”, International Conference on Computing, Communication and Automation (ICCCA2016). Nikita Lemos, Kavita Sonawane, Bidisha Roy, “Secure Data Transmission using Video”, IEEE@2015. Anitha Devi M.D, Dr K B ShivaKumar , “Novel Audio Steganography Technique for ECG Signals in Point of Care Systems(NASTPOCS)”, 2016 IEEE International Conference on Cloud Computing in Emerging Markets. Arora, M. P. Singh, P. Thakral, N Jarwal, “ Image Steganography using Enhanced LSB Substitution technique”, 2016 Fourth International Conference on Parallel, Distributed and Grid Computing (PDGC). Japtej Singh Lamba, Karan Sachdeva, Vishal Sinha, Neetu Singh, “Differential Pulse Code Modulation in Audio Steganography”, 2016 International Conference on Electrical, Electronics, Communication, Computer and Optimization Techniques (ICEECCOT). 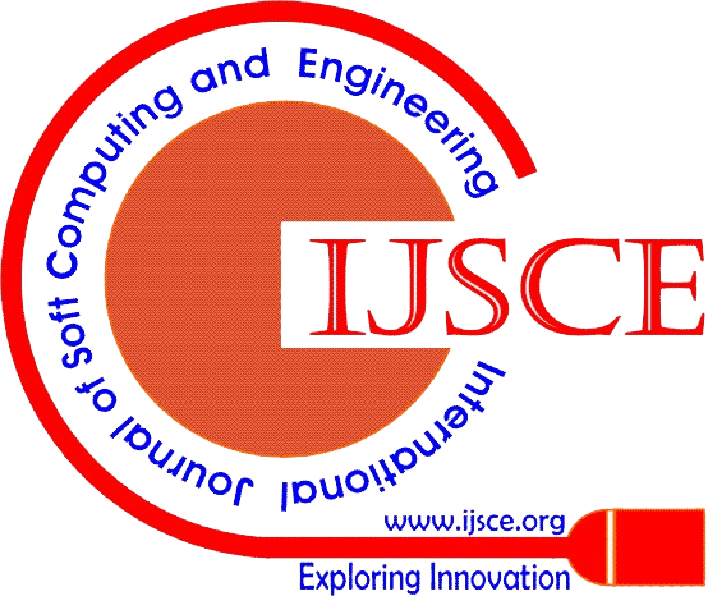 Kamred Udham Singh, “LSB Audio Steganography approach”, International Journal of Emerging Technology and Advanced Engineering ISSN 2250-2459, ISO 9001:2008 Certified Journal, Volume 4, Issue 4, April 2014. Mohsen Bazyar, RubitaSudirman, “A New Method to Increase the Capacity of Audio Steganography Based on the LSB Algorithm,” University Teknologi Malaysia, 81310 UTM Johor Bahru, Malaysia. Jayaram P, Ranganatha H R, Anupama H S, “INFORMATION HIDING USING AUDIO STEGANOGRAPHY – A SURVEY,” The International Journal of Multimedia & Its Applications (IJMA) Vol.3, No.3, August 2011. Krishna Bhowal, Anindya Jyoti Pal, Geetam S. Tomar, P. P. Sarkar, “Audio Steganography using GA”, IEEE Proceedings,2010. Mazdak Zamani, Hamed Taherdoost, Azizah A. Manaf, Rabiah B. Ahmad, and Akram M. Zeki, “Robust Audio Steganography via Genetic Algorithm”, IEEE, 2009. Abstract: This paper presents a method for extracting distinctive invariant features from images that can be used to perform reliable matching between different views of an object or scene. The features are invariant to image scale and rotation, and are shown to provide robust matching across a a substantial range of affine distortion, change in 3D viewpoint, addition of noise, and change in illumination. The features are highly distinctive, in the sense that a single feature can be correctly matched with high probability against a large database of features from many images. This paper also describes an approach to using these features for object recognition. The recognition proceeds by matching individual features to a database of features from known objects using a fast nearest-neighbour algorithm, followed by a Hough transform to identify clusters belonging to a single object, and finally performing verification through least-squares solution for consistent pose parameters. This approach to recognition can robustly identify objects among clutter and occlusion while achieving near real-time performance. Arya, S., and Mount, D.M. 1993. Approximate nearest neighbour queries in fixed dimensions. In Fourth Annual ACM-SIAM Symposium on Discrete Algorithms (SODA’93), pp. 271-280. Arya, S., Mount, D.M., Netanyahu, N.S., Silverman, R., and Wu, A.Y. 1998. An optimal algorithm for approximate nearest neighbour searching. Journal of the ACM, 45:891-923. Ballard, D.H. 1981. Generalizing the Hough transform to detect arbitrary patterns. Pattern Recognition, 13(2):111-122. Basri, R., and Jacobs, D.W. 1997. Recognition using region correspondences. International Journal of Computer Vision, 25(2):145-166. Baumberg, A. 2000. Reliable feature matching across widely separated views. In Conference on Computer Vision and Pattern Recognition, Hilton Head, South Carolina, pp. 774-781. Beis, J. and Lowe, D.G. 1997. Shape indexing using approximate nearest-neighbour search in high dimensional spaces. In Conference on Computer Vision and Pattern Recognition, Puerto Rico, pp. 1000-1006. Brown, M. and Lowe, D.G. 2002. Invariant features from interest point groups. In British Machine Vision Conference, Cardiff, Wales, pp. 656-665. Carneiro, G., and Jepson, A.D. 2002. Phase-based local features. In European Conference on Computer Vision (ECCV), Copenhagen, Denmark, pp. 282-296. Crowley, J. L. and Parker, A.C. 1984. A representation for shape based on peaks and ridges in the difference of low-pass transform. IEEE Trans. on Pattern Analysis and Machine Intelligence, 6(2):156-170. Fergus, R., Perona, P., and Zisserman, A. 2003. Object class recognition by unsupervised scaleinvariant learning. In IEEE Conference on Computer Vision and Pattern Recognition, Madison, Wisconsin, pp. 264-271. Friedman, J.H., Bentley, J.L. and Finkel, R.A. 1977. An algorithm for finding best matches in logarithmic expected time. ACM Transactions on Mathematical Software, 3(3):209-226. Funt, B.V. and Finlayson, G.D. 1995. Color constant color indexing. IEEE Trans. on Pattern Analysis and Machine Intelligence, 17(5):522-529. Grimson, E. 1990. Object Recognition by Computer: The Role of Geometric Constraints, The MIT Press: Cambridge, MA. Harris, C. 1992. Geometry from visual motion. In Active Vision, A. Blake and A. Yuille (Eds. ), MIT Press, pp. 263-284. Harris, C. and Stephens, M. 1988. A combined corner and edge detector. In Fourth Alvey Vision Conference, Manchester, UK, pp. 147-151. Hartley, R. and Zisserman, A. 2000. Multiple view geometry in computer vision, Cambridge University Press: Cambridge, UK. Hough, P.V.C. 1962. Method and means for recognizing complex patterns. U.S. Patent 3069654. Koenderink, J.J. 1984. The structure of images. Biological Cybernetics, 50:363-396. Lindeberg, T. 1993. Detecting salient blob-like image structures and their scales with a scale-space primal sketch: a method for focus-of-attention. International Journal of Computer Vision, 11(3): 283-318. Lindeberg, T. 1994. Scale-space theory: A basic tool for analysing structures at different scales. Journal of Applied Statistics, 21(2):224-270. Lowe, D.G. 1991. Fitting parameterized three-dimensional models to images. IEEE Trans. on Pattern Analysis and Machine Intelligence, 13(5):441-450.